TriplePlay™ PVDF Airflow Interface Cables Dymedix TriplePlay™ Airflow sensors are used with a choice of various Airflow Filtration Module (FM) interface cables that provide the user with a variety of waveform options and combinations. 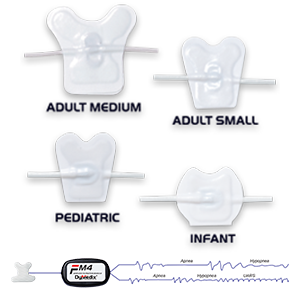 Dymedix TriplePlay™ Airflow sensors detect three types of sleep disordered breathing events with only one sensor; Apnea, Hypopnea and UARS. All Dymedix Airflow sensors are AASM compliant.